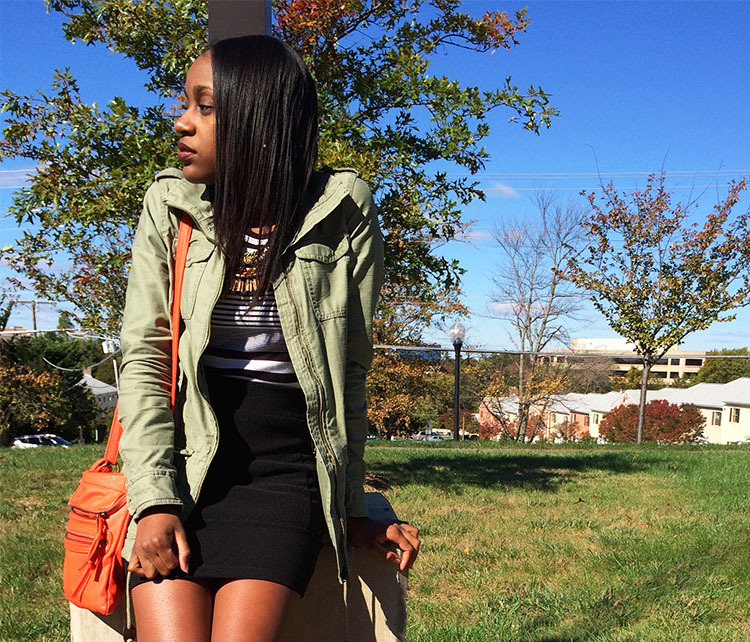 Wearing mini skirts in the fall can be accomplished. There’s just two items that must be present, and that’s a jacket and a pair of boots or booties. As long as you have those, then you have yourself the perfect fall look. This black mini skirt was a favorite of mine during the summertime, so I love that I was able to find a way to wear it even in the fall. 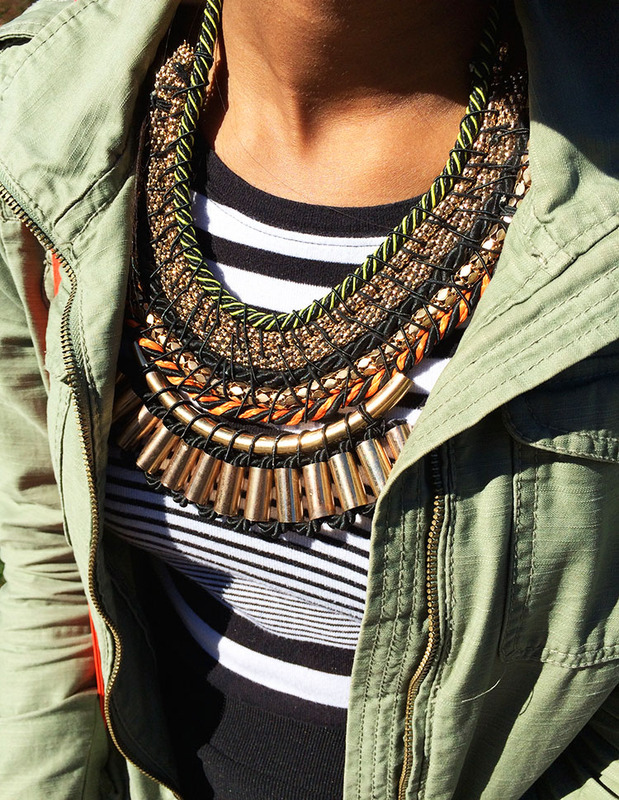 I also loved the combination of it with my Old Navy striped top and the statement piece necklace that I purchased from Aldo recently. My necklace has been something that I have been literally drooling over since I saw it on the Aldo website about a month ago for only $25. I love its versatility, boldness, and let’s not forget the price! 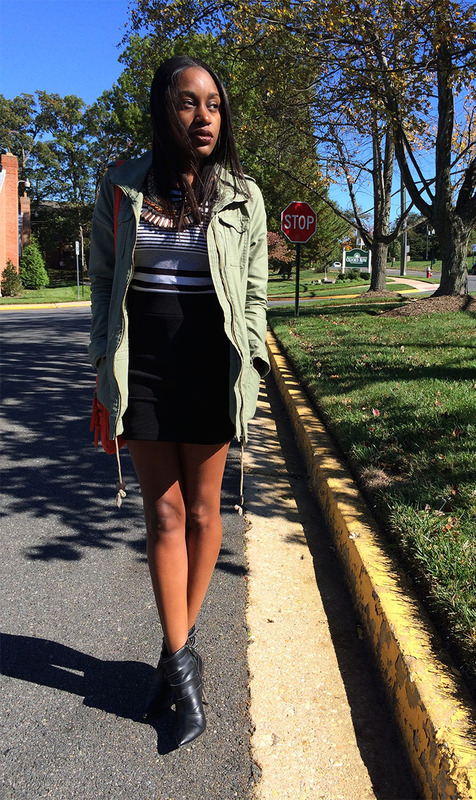 It also coordinates with my cargo jacket and bold orange cross body so well, and gives the outfit that extra fun. I hope everyone is having a great fall thus far! For tweets follow at @DJSSTYLE. Click the link below! I LOVE that necklace! The mixture of textiles is fantastic.